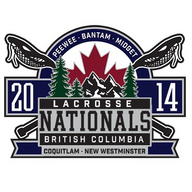 The 2014 Lacrosse Nationals is the pinnacle championship event for the best minor lacrosse players across the country. ViaSport is thrilled to partner with the New Westminster Salmonbellies and the Coquitlam Adanacs lacrosse club to live-stream the gold medal matches from Queen’s Park Arena on Friday, August 8 and Saturday August 9, 2014. With its deep lacrosse history, Queen’s Park Arena is considered one of the “Mecca’s” of the lacrosse world.